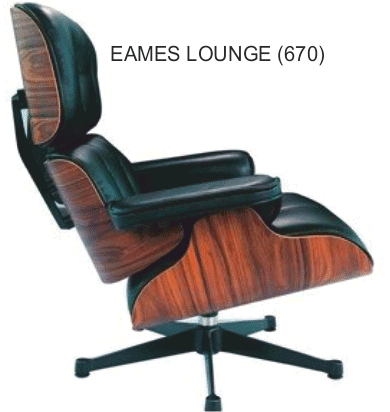 Study the pictures / diagrams of the Lounge Chair, designed by Charles and Ray Eames in 1956. With the aid of notes and sketches, describe how the designers made use of laminated veneers (plywood) and aluminium, in the manufacture of the head rest and frame. REMEMBER: Include a clear explanation / description of the processes involved in the manufacture of the head rest and the frame / supports.